After years of growing applications, the number of undergraduate applicants to Northwestern is beginning to stabilize. The number of regular decision applicants for the class of 2023 was “flat” compared to last year, said Christopher Watson, the dean of undergraduate admission. The Office of Undergraduate Admission received a total of 40,577 applications by the Jan. 1 deadline, he told The Daily. This is only about 100 more applicants than last year, when 40,425 students applied to NU in total, Michael Mills, the associate provost for university enrollment, told The Daily in an email. Watson estimated that the overall acceptance rate for first-year students is expected to be about the same as last admissions season, which was 8.4 percent for the class of 2022. Each graduating class is made up of just under 2,000 students. Watson also mentioned that the pools of applicants for fall 2018 and fall 2019 are “almost identical,” and that there “really was no shift” in composition. He said most students applied to Weinberg, while McCormick was the second most popular school. Despite nationwide concern about international students applying in fewer numbers, Watson said NU did not see this trend in the application pool. In an email, Watson said he does not know the reason for this, though University President Morton Schapiro has expressed confidence in Northwestern’s ability to attract top-tier international students. In 2016, Schapiro announced a school-wide priority to have 20 percent of an incoming class be Pell Grant-eligible by the fall of 2020. This was achieved with the class of 2022, and Watson said it should happen again with this year’s admits. “Our class of 2023 Early Decision admits were 20 percent Pell (Grant-eligible), so there is no reason to think that we won’t have 20 percent Pell (Grant-eligible) in regular decision, too,” Watson said. Schapiro, an education economist, said in an interview with The Daily on Monday that the number of applicants matches what he had predicted. “Once you hit 40-41,000 apps, you look at the peers … the changing demographics, and now with an 8 percent admit rate it scares away a number of people who were not remotely admissible, which is good,” Schapiro said. The change in applicants, he added, is visible in the number of Early Decision applicants, which rose about nine percent in December 2018. Watson said 4,399 students applied Early Decision to NU for the class of 2023. 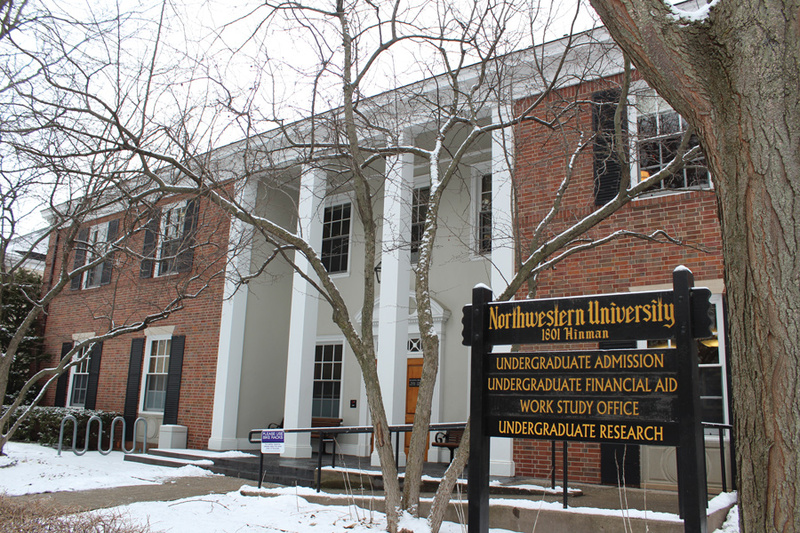 Those who applied regular decision will hear from NU in the spring, according to the Office of Undergraduate Admission. A previous version of this story misquoted Morton Schapiro’s comments regarding the stabilization of application numbers. The Daily regrets the error.